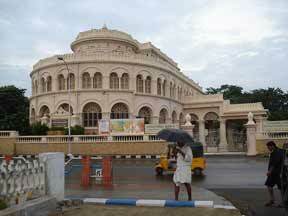 Vivekananda Illam, originally called Ice House, was renamed in 1963 to commomorate Swami Vivekananda's sojourn here. The museum is a semicircular building facing the marina. This is the first shrine of Sri Ramakrishna Math, Chennai. 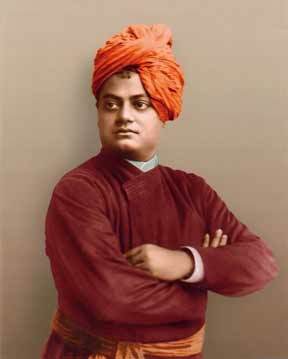 Swami Vivekananda stayed for 9 days (6th-15th February 1897) at the Illam (then called Ice House/Castle Kernan) on his return from the West. In March 1897, Swami Ramakrishnananda, a brother disciple of Swami Vivekananda, started the first centre of Ramakrishna Math in South India and housed the centre in this very building. The Math functioned here from 1897 to 1906. This place now houses a Pictorial Exhibition on Indian culture from the Vedic Period to the advent of Sri Ramakrishna and a Photo Gallery on the life Swami Vivekananda. The room in which Swamiji stayed is maintained as a meditation room.